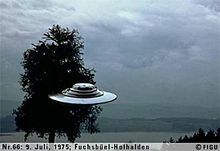 "Billy" Eduard Albert Meier (born February 3, 1937) is a citizen of Switzerland who is the source of many controversial UFO photographs. He presents these photographs as evidence to support claims that he is in contact with extraterrestrials. In addition, he has also presented other controversial material during the 1970s such as metal samples, sound recordings and film-footage. Meier reports regular contacts with extraterrestrials he calls the Plejaren. Meier claims that the Plejaren look similar in appearance to humans from Northern Europe, and states that the Plejaren homeworld is called Erra. It is located in a dimension which is a fraction of a second shifted from our own dimension, about 80 light years beyond the Pleiades, an open star cluster. The Plejaren were given the name Pleiadians by Meier up to 1995. Born in the town of Bülach in the Zürcher Unterland, Meier joined the French Foreign Legion in his teens, but says he soon left and returned home. He traveled extensively around the world pursuing spiritual exploration, covering 42 countries over 12 years. In 1965, he lost his left arm in a bus accident in Turkey. In 1966 he met and married a Greek woman, Kalliope Zafiriou, with whom he has three children. The nickname "Billy" came by way of an American friend who thought Meier's cowboy style of dress reminded her of "Billy the Kid." This anecdote was told by Meier himself in an interview with Bob Zanotti of Swiss Radio International in June, 1982. Meier has accumulated a large collection of photographs showing alleged spaceships that he calls beamships as well as alleged Plejaren. Meier says that the Plejaren gave him permission to photograph and film their beamships so that he could produce some evidence for their extraterrestrial visitations. Meier's claims are both believed and disputed by UFO skeptics and enthusiasts. Meier began publishing his collection of photographs in the 1970s. His photographs were featured in various newspapers and magazines from around the world, such as the Quick, Blick, Argosy UFO, and Il Giornale dei Misteri. "Billy" Eduard Albert Meier's claimed his first extraterrestrial contacts occurred in 1942 at the age of five with an elderly extraterrestrial man named Sfath. Contacts with Sfath lasted until 1953, shortly before Sfath passed away. From 1953 to 1964, Meier's contacts continued with an extraterrestrial woman called Asket, who is not a Plejaren. Meier says that after an eleven year break, contacts resumed again (beginning on January 28, 1975) with an extraterrestrial woman named Semjase, the granddaughter of Sfath. Meier says that he has also had many contacts with another Plejaren man called Ptaah, starting in 1975 and continuing right up to the present day. He has claimed that he has also visited other worlds and galaxies along with another universe with these extraterrestrials. Meier claims that he was instructed to transcribe his conversations with the various extraterrestrials, most of which have been published in the German language. These books are referred to as the Contact Notes (or Contact Reports). Currently, there are twenty six published volumes of the Contact Reports (titled Plejadisch-Plejarische Kontaktberichte). Some of theContact Reports were translated into English, extensively edited and expurgated, and published in the out-of-print four-volume set Message from the Pleiades: The Contact Notes of Eduard Billy Meier by Meier case investigator Wendelle C. Stevens. There are also many contact reports translated into English (unedited) by Benjamin Stevens. An additional aspect of the Meier case is the highly controversial book, the Talmud Jmmanuel. Based on the translation of ancient Aramaic scrolls purportedly discovered in 1963 in a tomb just south of the Old City of Jerusalem by Meier and Isa Rashid, the book claims to be the original teachings and life events of the man named Jmmanuel (called Jesus Christ by historians and Christians). Some of the most important evidence for Meier's claims come from his large collection of photographs. These include images of metallic discs floating above the Swiss countryside, the 1975 docking of Apollo–Soyuz, pictures of celestial objects from a non-Earthly vantage point, pictures of apparent extraterrestrials, prehistoric Earthly scenes, and scenes of a devastated future. The photographs, films, sound recordings and Meier himself were the subject of an investigation lasting more than five years by Wendelle C. Stevens and his American team of analytic experts. The investigation was the subject of Larry Savadove's 1982 documentary film Contact. Stevens and his team employed a wide range of investigative techniques such as photogrammetric and computer analysis of photographs, tonal and dynamic analysis of recorded sounds, recreation of models, and extensive polygraph tests on Meier and his acquaintances. Some UFO researchers such as Stanton T. Friedman and Jacques Vallée publicly dismiss the Meier case, while others believe the Meier case to be the most thoroughly researched and validated UFO case in our history. Some critics have provided examples of faked photos similar to what Meier produced and have pointed out that some of his photos correspond to scenes that were subsequently found in science fiction books, paintings and television programs. 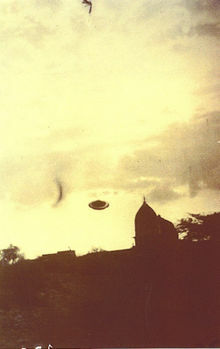 Meier claims that some of his photos were altered by intelligence agencies and slipped into his collection in order to discredit his UFO testimony. Kal K. Korff has been particularly vociferous in dismissing the Meier case, pointing to proof of Meier's fakery obviated by finding light-direction and focal discrepancies consistent with cut-and-paste and model techniques. Photographic analysis was performed on Meier's photographs and films in the late 1970s when Meier first started to publish his photographs. In 1978, a report titled "Preliminary Photo Analysis," written by physicist Neil M. Davis at Design Technology in Poway, California, provided test results of an analysis of one of Meier's controversial photographs. Using microscopic examination, density contour plots, examination for evidence of double exposure, photo paste-up, or a model at short range suspended on a string. They state "Nothing was found to indicate a hoax" and concluded, "Nothing was found in the examination of the print which could cause me to believe that the object in the photos is anything other than a large object photographed a distance from the camera." They also recommended that the print was a second generation photograph and a more detailed analysis of the photo can only properly be made on the original film negative. Recreations of Meier's images were created by photographic effects specialist and stop-motion animator Alan Friswell for the June 2005 issue of Fortean Times magazine. Friswell had employed techniques used in the pre-digital age of film special effects, as modern processes would, in Friswell's opinion, have been "unsporting." Using "old fashioned" tricks, such as foreground miniatures and photographic cutouts, Friswell crafted copies of Meier's UFO pictures, but claimed that his pictures did not in any way confirm that Meier was a hoaxer, as without personal experience of the events, he had no right to draw conclusive opinions one way or the other. A study conducted by the IIG concluded that Meier could have created the photographs using household items. Contrasting this research, in a report titled "Analysis of the Wedding Cake UFO," a researcher who calls himself Rhal Zahi attempted to determine the size of the UFO in one of Meier's photographs by analyzing the reflections of surrounding objects on the metallic surface of the UFO. With the aid of Blender, a 3D modelling program, satellite imagery and a scale model of Meier's property, the author determined that the UFO in the picture is an object greater than 3 meters in diameter. In Savadove's documentary Contact, a metallurgist's examination of Billy Meier's metal revealed: "We have little marker bars here that we can line up on each peak as they come up. This one indicates that we have silver there. Over here, let's see, we've got some copper. A small amount of copper. That looks about all that's in here at the moment." In 1979, Meier sent Marcel Vogel, a chemist working at IBM, crystal and metal samples Meier claimed to have received from the Plejaren. Vogel examined these samples with a scanning electron microscope and reported: "When I touched the oxide with a stainless steel probe, red streaks appeared and the oxide coating disappeared. I just touched the metal like that, and it started to deoxidize and become a pure metal. I have never seen a phenomenon like that before." Vogel also claimed that another metal sample he examined contained nearly every element in the periodic table stating, "Each pure element was bonded to each of the others, yet somehow retained its own identity." At 2500x magnification, Vogel claims the sample was, "... metal, but at the same time ... it is crystal!" A piece of text transcribed from a video file from an interview of Vogel goes, It's a very unusual combination from an metallurgical standpoint. I've shown these to metallurgists and they shake their heads. The most unusual thing you'll see, purity of these metals in adjacency to one another without their cross contamination. They're very sensitive to marking, the soonest I've exposed them to intense light from my microscope the metal oxidizes very rapidly and just breaks down. I've never seen that. In Wendell C. Stevens' book UFO—Contact from the Pleiades: A Preliminary Investigation Report (1982), page 424: "Looking at the piece by x-ray diffraction, for elemental analysis, he found a single element deposit of Thulium (Tm, Atomic Number 69, Atomic Weight 168.934), a rare transition element in the Lanthide series, and also of Rhenium (Re, Atomic Number 75, Atomic Weight 186.2), another rare metal." Further down the page is also the following paragraph: "Looking at that part spectrographically, the Thulium, remarkably, showed only the primary band spike for that element — no secondary bands existed. All of the elements examined spectrographically had missing bands in their spectrums which should have been there if they were normal atomic spectra. This indicates that the elements are put together in a very unusual way from normal Earth technology. The spectrographic bands are entirely different, beyond what one would consider an isotope. The bands showed a very high elemental purity and no secondary bands and no catalyst. Most of the elements studied showed the same un-Earthly characteristics." Due to the disappearance of the metal samples and no peer review process being adhered to, it is not possible to scientifically verify Vogel's claims today. On page 426 is an explanation of the disappearance of the specimen: "... the specimen was being carried on Vogel's person, in a small plastic envelope, to Ames Research Laboratories for still more exotic tests, when the metal specimen simply disappeared leaving the envelope completely undisturbed." The Independent Investigations Group (IIG) analyzed the data from Marcel Vogel presented in the 1985 video Beamship: The Metal Analysis and in Wendell Stevens' book mentioned above. The IIG concluded the following: the element found was aluminum and not thulium, the evidence for the presence of all elements in the sample is in fact Bremsstrahlung radiation with no bearing on element composition, the structure that suggests exotic micro-manipulation can be found on the surface of metals machined by ordinary cutting tools in a machine shop, and the evidence of crystal birefringence detected using Nomarski and Cross-Polarized microscopy can be reproduced by the topography of a simple metal structure with no birefringence associated to it. The IIG said it did not find data supporting the presence of rhenium or any other rare earth element. Another controversial aspect of Meier's claims of contacts is the sound recordings he claims to have made of UFOs. Naval Under Sea Sound Center in Groton, Connecticut: "They first identified all sounds not originating from the target object. Three conventional aircraft were detected, two of which were propeller driven. The third was a single-engine jet. Frequency graphs were prepared and a match was looked for in the 'sound bank' archives... The third airplane was a Mirage single-engine jet fighter. No unusual characteristics were detected with respect to the conventional aircraft sounds. Additional background noises detected included a small barking dog, a crow cawing, an European police siren, and some clicks and vibrations, possibly the clicking of the shutter on the camera. No match was ever found in the 'sound bank' for the target sounds of the spacecraft in this study." In a television interview conducted by Nippon Television (Japan) in 1980, Meier and Stevens recount of a life-threatening event. They recount that at the evening time of May 10, 1980 at 10:01 p.m., while Stevens was investigating on site at Meier's property, a gunshot was fired and a bullet nearly hit them. It missed Meier's head by only 8 inches (203 mm). In this interview, they re-enacted the events that transpired that night, showing the remains of the bullet they found later that evening and how it landed on a concrete wall directly behind the couch they were sitting on. Meier claims in this interview that this was not the first attempt on his life. Meier further claims two other incidents on the interview, one occurring in Hinwil in the Winter time between 7 and 8 p.m. where a bullet was shot through his office window, closely missing his head and the other at 4 a.m., where he was shot in the chest. 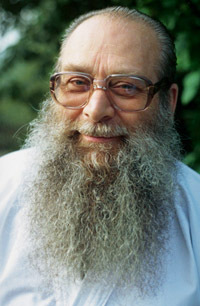 Billy Meier has authored approximately 40 books and additionally has compiled over 6,000 pages of contact reports, all of which are available in German. Although very few of his books have been translated into English, the final translation of Goblet of The Truth is now available as a free download in the PDFformat. Our sun has a "dark twin" which is located about one light year away. Therefore we live in a binary star system. There are 280 chemical elements in the universe, but it is a creational law that no single star contains all 280 of them. The next inhabited solar system is around five light years away from Earth. Different worlds in that system are inhabited by human forms of life. One of the planets located there is called Akart. There was another planet in our solar system called Malona, which was destroyed by its inhabitants. The asteroid belt is the remnants of that former planet. Our universe is around 46 trillion years old, not billions of years old, as our scientists claim. Zanotti, Bob (Interviewer) (June 1982). "Billy Meier – UFO Contactee" (MP3).Switzerland in Sound (Audio recording) (Biglen, Switzerland: Bob Zanotti). Event occurs at 0:17:35. Retrieved October 12, 2013. "Strahlschiffe (UFOs)". FIGU Switzerland. Schmidrüti, Switzerland: FIGU. Retrieved October 17, 2013. Nickell, Joe (March–April 1996). "Spaceships of the Pleiades: The Billy Meier Story". Skeptical Inquirer (Book review) (Amherst, NY: Committee for the Scientific Investigation of Claims of the Paranormal) 20 (2): 48–49. ISSN 0194-6730. "Photo Comparison". Independent Investigations Group (IIG). Hollywood, CA: Center for Inquiry-Los Angeles. Retrieved October 17, 2013.
von Jacobi, Ilse (July 8, 1976). "Die Frau, die von einem anderen Stern kam".Quick (29): 86–88. Schüler, Zwei (September 26, 1976). "Ein altes Buch und neue Spuren". Blick(Zürich: Ringier). von Jacobi, Ilse (August 1976). "Semjase l'amica delle Pleiadi". Il Giornale dei Misteri (65): 16–21. "Portraits der Kontaktpersonen". FIGU Switzerland. Schmidrüti, Switzerland: FIGU. Retrieved October 17, 2013. Stevens, Benjamin. "Billy Meier Translations: Contact Reports". Billy Meier Translations. Shelocta, PA: Benjamin Stevens. Retrieved October 17, 2013. Deardorff, James. "Discovery of the Talmud of Jmmanuel (TJ)".tjresearch.info. Portland, OR: James Deardorff. Retrieved October 19, 2013. Savadove, Larry (Director, writer); Elders, Brit; Elders, Lee; Stevens, Wendelle C.; Welch, Thomas K. (1982). Contact (Motion picture). Los Angeles: BGR Entertainment Corporation. Retrieved October 19, 2013. "Billy Meier 101". Independent Investigations Group (IIG). Hollywood, CA: Center for Inquiry-Los Angeles. Retrieved October 17, 2013. Friswell, Alan (June 2005). "Faking it...". Fortean Times (London: Dennis Publishing) (197): 38–41, 43. ISSN 0308-5899. Retrieved October 19, 2013. "Asket and Nera Photo Deconstruction". Independent Investigations Group (IIG). Hollywood, CA: Center for Inquiry-Los Angeles. Retrieved October 17, 2013. Zahi, Rhal (alias) (March 2013). "Analysis of the Wedding Cake UFO"(PDF). FIGU Canada National Group. Schmidrüti, Switzerland: FIGU. Retrieved October 17, 2013. (Updated report.) Report is also available from author's personal website here (PDF). Horn, Michael. "Documentation from IBM on Marcel Vogel's Patents".TheFly.com. Michael Horn. Retrieved October 20, 2013. "File:Vogel-prelim-report1.png". The Future of Mankind (Wiki). Helensburgh, Scotland: James Moore. Retrieved October 17, 2013. "File:Vogel-prelim-report2.png". The Future of Mankind (Wiki). Helensburgh, Scotland: James Moore. Retrieved October 17, 2013. Beamship: The Meier Chronicles (VHS video). Munds Park, AZ: Genesis III Publishing. 1986. OCLC 32023880. Stevens, Benjamin. "Billy Meier Translations: Other Books". Billy Meier Translations. Shelocta, PA: Benjamin Stevens. Retrieved October 17, 2013. "Goblet of The Truth". FIGU Canada National Group. Schmidrüti, Switzerland: FIGU. Retrieved October 17, 2013. "Contact Report 544". Retrieved October 24, 2013. "Contact Report 127". Retrieved October 24, 2013. "Contact Report 35". Retrieved October 24, 2013. "Contact Report 219". Retrieved October 24, 2013. "Contact Report 228". Retrieved October 24, 2013. Korff, Kal K. (1995). Spaceships of the Pleiades: The Billy Meier Story. Amherst, NY: Prometheus Books. ISBN 0-87975-959-3. LCCN 94046992. OCLC 31754990. Moosbrugger, Guido (2004) [Originally published 2001]. And Still They Fly! : The Henoch Prophecies (2nd paperback ed.). Tulsa, OK: Steelmark. ISBN 0-9711523-1-4.OCLC 55207214. Sheaffer, Robert (1998). UFO Sightings: The Evidence. Amherst, NY: Prometheus Books. ISBN 1-57392-213-7. LCCN 98006410. OCLC 38738821. Stevens, Wendelle C. (1982). UFO-- Contact from the Pleiades: A Preliminary Investigation Report (Limited 1st ed.). Tucson, AZ: UFO Photo Archives. ISBN 0-9608558-2-3.OCLC 42991526. Stevens, Wendelle C. (1989). UFO-- Contact from the Pleiades: A Supplementary Investigation Report (Limited 1st ed.). Tucson, AZ: W.C. Stevens. ISBN 0-9608668-5-X.OCLC 21400094. Elders, Lee J.; Welch, Thomas K. (1980). UFO--Contact from the Pleiades 1. Photograph identification text by Wendelle C. Stevens (Revised ed.). Phoenix, AZ: Genesis III Publishing. ISBN 0-937850-02-0. LCCN 80083468. OCLC 7575958. Kinder, Gary (1987). Light Years: An Investigation into the Extraterrestrial Experiences of Eduard Meier (1st ed.). New York: Atlantic Monthly Press. ISBN 0-871131-39-0. LCCN 86028858. OCLC 14931396. Martin, Edward T. (1999). King of Travelers: Jesus' Lost Years in India (1st ed.). Lampasas, TX: Jonah Publishing Company. ISBN 0-9672408-3-2.LCCN 99095592. OCLC 48376786. Meier, Eduard Albert (2004). Through Space and Time: A Photo Journal of "Billy" Eduard Albert Meier. ISBN 0-9711523-5-7. Meier, Eduard Albert, ed. (2007). Talmud Jmmanuel: The Unearthed Chronicle of Jmmanuel – The Man Known as Jesus: His Life and True Teachings (4th ed.). Tulsa, OK: Steelmark. ISBN 978-0-9711523-3-5. OCLC 819609564. Rashid, Isa; Meier, Eduard Albert "Billy" (1992). The Talmud of Jmmanuel: The Clear Translation in English and German. Translation into English by Julie H. Ziegler and B. L. Greene (1st ed.). Tigard, OR: Wild Flower Press. ISBN 0-926524-12-7.LCCN 90034240. OCLC 21976931. Rothe, Dietmar (2000). In Search of Truth and Freedom: A Path from Ignorance to Awareness (1st ed.). Cardiff by the Sea, CA: Avila Books. ISBN 0-9677453-2-2.LCCN 99076710. OCLC 45045793. Stevens, Wendelle C. Message from the Pleiades: The Contact Notes of Eduard Billy Meier 1. ISBN 0-934269-14-9. ——. Message from the Pleiades: The Contact Notes of Eduard Billy Meier 2.ISBN 0-934269-24-6. ——. Message from the Pleiades: The Contact Notes of Eduard Billy Meier 3.ISBN 0-934269-28-9. ——. Message from the Pleiades: The Contact Notes of Eduard Billy Meier 4.ISBN 0-934269-30-0. Stuttaford, Andrew (January 17, 2003). "Spirits in the Sky". National Review Online. New York: National Review. Retrieved October 18, 2013. This article retrieved from Wikipedia, July 8, 2014.